It seems like it was so long ago when the bug of writing bit me. I was nine years old when I started writing short stories, and now it’s been a month since my first book was released. Zoey’s Zany Life is an adventure I will never forget. When I first started writing Zoey’s Zany Life, I never expected anyone other than my family to see it. Now it’s a published book! Some strangers even recognize me in the grocery store. Life has definitely been different since the book was published. I’ve been on the front page of my local newspaper, interviewed by Fox 5 News, but the best part is the girls (and even some adults) who are reading my book. I am so excited to know that girls are actually picking up a book instead of their electronic devices, and actually are having fun reading it! I hope this will grow into a love of reading and inspire them to write their own stories. Try starting with the characters. You can make them however you want. Give them a physical description, a personality, and a speech pattern (such as do they use conjunctions or not; do they use any type of slang; do they say “All right” or “Okay”). One way to help give them a personality is using a personality test. You can answer them as your character, and it helps you better understand them. Try using a personal experience. Have your characters experience it. If you want to change something that happened, then you can! Because this is your story. Try writing down a bunch of random first sentences, such as: “It felt like it was 350 degrees outside even though the thermometer only said 99”. Then you can choose one to start a story with. 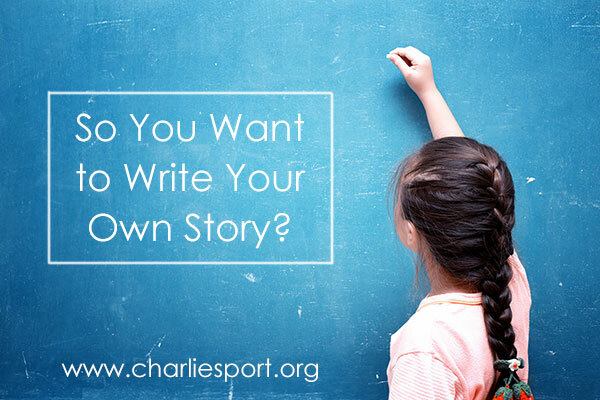 Try writing short stories. Do not expect your first story to be a novel. I wrote over 200 short stories before I wrote Zoey’s Zany Life. You may even use things from your short stories later on. Zoey was a supporting character in some of my short stories, and then I used her as a main character in my first novel. Try outlining chapters. When I first wrote Zoey’s Zany Life I started out with no plan and finished my first draft with no storyline. It was just a collection of short stories. Thank goodness for my editor and publisher, though, who helped me create a storyline (with minor changes) so that Zoey’s Zany Life can be the novel it is today. Nowadays I plan out chapters so that it flows, and I can get a better idea of what I’m writing. Try doing research. It can be research about anything. Such as in my first book, Zoey goes skiing, so I had to research skiing. You can do research about a sport you want your character to play, somewhere you want them to go, or anything you can think of. Just remember writing’s all about what you love and what you want to say. These tips are just in case you need a little bit of inspiration. Good luck writing!